Have burning odors been coming from your heating system? There are different types of burning smells, some of which are harmless, while others could endanger your safety. Read on to see when it might be time to call a technician. Burning Dust - This is a very common odor that comes from turning on your heating system for the first time in fall. 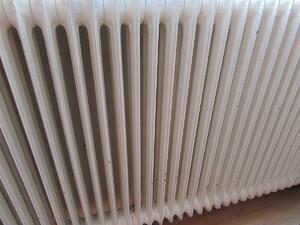 Months of disuse can leave dust that burns off when the heating system is turned on again. While this smell should go away after a couple of hours, try changing the air filters if the problem persists. Electrical Burning - Wiring issues with heating systems are not common, and this smell could indicate a serious electrical problem. Call an HVAC technician immediately before the problem worsens. Burning Plastic or Rubber - Rubber, plastic, or other materials can sometimes end up in your ductwork. Inspect the air vents and clear anything that might be causing the issue. If you’re unable to locate the obstruction, contacts an HVAC technician for help. Need an HVAC Technician to Inspect Your Heating System? Contact A. Borrelli today!